A dental filling is used to repair damage to your tooth enamel, such as decay, cracks, and fractures. In just one appointment, our team at Cherrington Dental can remove, clean, and fill the decayed or affected portion of the tooth. In the past, many different kinds of materials were used for dental fillings including metal and gold. Thanks to advances in dental technology, we are pleased to offer you and your family high-quality composite fillings. Composite fillings, also known as tooth-colored fillings, are made from a durable mixture of resins that can be closely matched to the color of existing teeth. Our talented dentist, Dr. Nathan T. Cherrington, will sculpt your composite filling to fit naturally with the grooves and curves of your tooth. We also provide options that are more aesthetically suited for use in the front teeth or the more visible areas of the teeth. 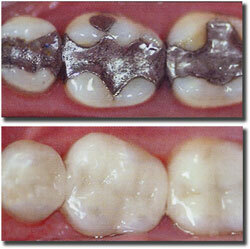 These newer types of fillings have enabled us to finally make ugly metal fillings a thing of the past. If you would like to learn more about how composite fillings can restore your smile, please give our dental office a call. 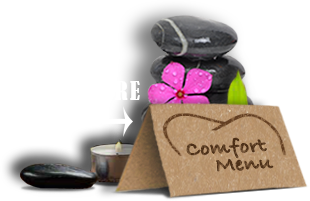 We would be happy to schedule a time to meet with you and discuss your treatment options.